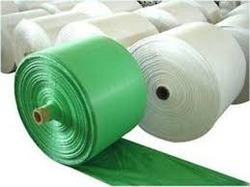 Keeping in mind the diverse requirements of our valued clients, we are involved in manufacturing and supplying a wide range of Woven HDPE Fabric that can be obtained from us as per given specifications: Specifications: •Use: To cover the objects from dust, sunlight, wind, rain, etc. •Use: To cover the objects from dust, sunlight, wind, rain, etc. Established in the year 2011, at Ahmedabad, (Gujarat, India), we, “V.K. Plastlam Pvt. Ltd.”, are the trustworthy enterprise, involved in manufacturing and supplying of Waterproof Tarpaulin, Cabin Cover Tarpaulin, PE Tarpaulin And Sheet, Truck Tarpaulin, HDPE Tarpaulin, HDPE Vermi Bed, HDPE Tents, Tarpaulin Tents, HDPE Fabrics, Vehicle Covers, HDPE Bags, etc. Owing to the features such as excellent strength and high durability, these products are highly applauded in the market. Under the visionary guidance of, “Mr. Parth Velvan” (Director), we have been able to attain a formidable position for ourselves in this competitive market. We accept payment via cash, credit card, DD, cheque, online and wire transfer.